Driving made easy! That is what the versatility and everyday functionality of the new Ford Escape for sale at Royal Ford, Yorkton offers! It has all the latest driving assist features making it a smart SUV and your smart choice! The driver’s undivided attention is always the key to safe driving, and the latest Ford technology supplements this. The Ford Escape new features make driving safer and effortless. The Ford Escape price is all worth it with the available driver-convenience assist features. Ford Safe and Smart Package, SYNC 3, SYNC Connect with a Wi-Fi hotspot, powered by FordPass, BLIS (Blind Spot Information System) with Cross-Traffic Alert, Lane-Keeping System, Adaptive Cruise Control and Forward Collision Warning with Brake Support, and Enhanced Active Park Assist are additional features. The Ford Escape new assistive technology makes you wish that the front rain-sensing wipers, auto high-beam headlights, auto-dimming rearview mirror (standard on Titanium) and panoramic vista roof were available earlier. This new technology truly enhances your driving experience. The Ford Escape new Adaptive Cruise Control enables you to preset speed and distance from the vehicle in front of you, making your vehicle adapt to the traffic ahead. Safety is always our primordial concern in operating a vehicle. The Ford Escape new Forward Collision Warning with Brake Support makes the brake pre-charge and increases sensitivity, becoming fully and promptly responsive when you apply the brakes. 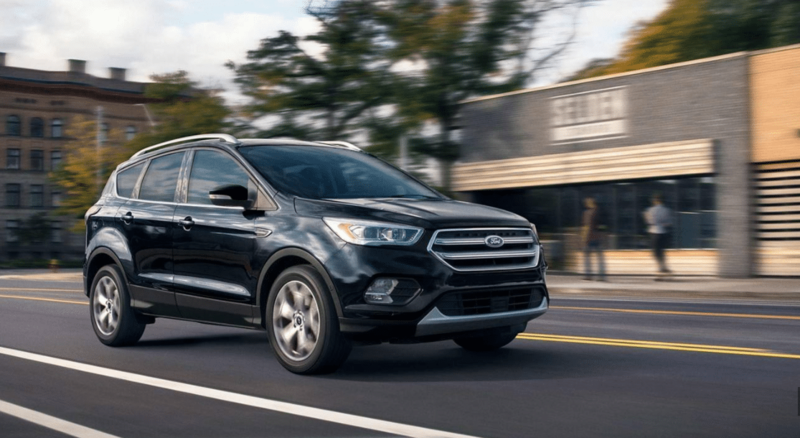 Because people react differently during a potential collision with a vehicle ahead, the Ford Escape has an assistive mechanism to avert injuries and loss of life or property. Both life and driving demand resilience and flexibility. 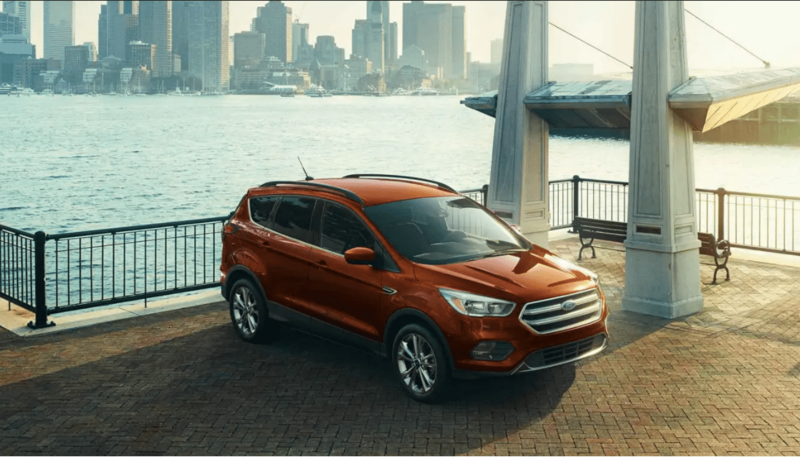 The Ford Escape new and enhanced features respond to this, making multi-tasking convenient through Ford Escape 2019 Intelligent Access with push-button start, folded rear seats to provide up to 1,925 L (68 cu. ft.) of cargo capacity, hands-free, foot-activated power lift gate to access rear of the vehicle and a rearview camera for parking assist. Experience the Ford Escape new hassle-free entry by just touching the door handle while the Intelligent Access key is inside your pocket or handbag. The Ford Escape new push-button start is another luxury, which can be operated by simply pressing the brake pedal and then the start button (standard on Ford Escape SE, SEL and Titanium). Terrible parking? Sideswiping objects? Worry no more! 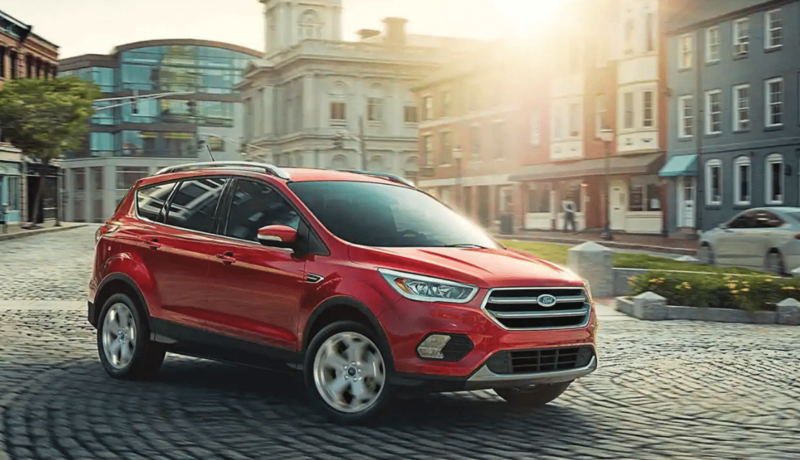 The Ford Escape new add-on also includes a Reverse Sensing System, alarming you from sideswiping other vehicles in a tight parking area or hitting objects when backing up your vehicle. The new Ford Escape for sale at Royal Ford, Yorkton can be equipped with additional features to ensure your driving experience aligns with your preferences. The amazing benefits of natural light through the Panoramic Vista Roof, the comfort of a heated steering wheel during the winter months, an array of entertainment and navigation choices with SiriusXM and a Voice-Activated Touchscreen Navigation System, and a switch electric parking brake, far outweigh the Ford Escape price. Together with the versatile seating and cargo combinations is the choice from the three-engine lineup: a 2.5L iVCT, a 1.5L turbocharged EcoBoost® engine or a 2.0L Twin-Scroll EcoBoost rated at 245 horsepower. Choose what suits your unique driving style! Control in various road conditions such as ice, gravel or rain is manageable through the Ford Escape 2019 AdvanceTrac® with Roll Stability Control, Curve Control and Torque Vectoring Control, and Intelligent 4WD. Please contact us at Royal Ford 306-782-2261 and learn more about the trims and prices on Ford Escape. You will be astonished that the Ford Escape Titanium has a maximum towing capacity of 1,587 kg (3,500 lbs) when properly equipped with the 2.0L EcoBoost Class II Trailer Tow Package. Visit our dealership at 81 Dracup Avenue, Yorkton to test drive a Ford Escape 2019. Our knowledgeable sales and leasing professionals are happy to assist you in a non-pressure environment. 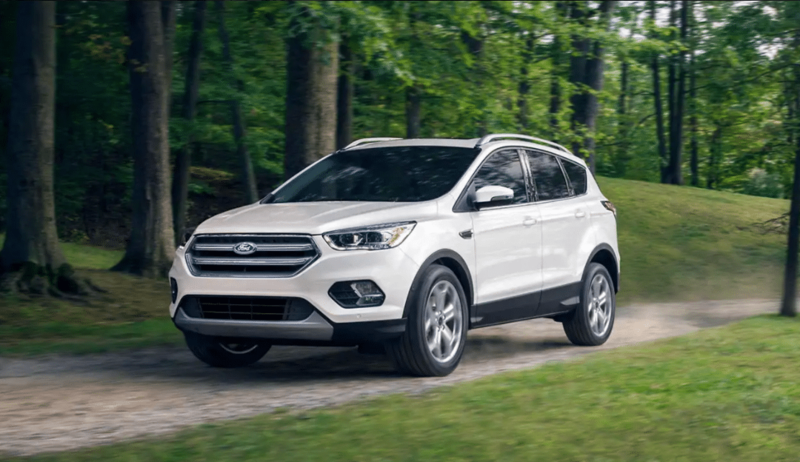 Our team can advise and guide you to find the Ford Escape model that fits your driving needs.